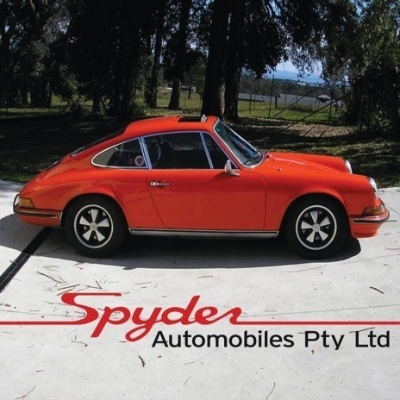 Spyder Automobiles is the oldest independant Porsche worshop in Australia. It was established in 1958, by John Gregory. Spyder Automobiles was then located at Flemington. Since that time it has moved to a number of locations until in 2007 the move to Warragul, from Moorabbin completed our tree change. Lisa the family and I had shifted house here 12 months earlier. Since John passed away on 18th March 2003 Lisa and I have run Spyder, until 26th October 2011 when Lisa passed away of Breast Cancer. The full responsibility of running and operating Spyder is now up to me. I am looking forward to the challenge in doing so! Expect to see some changes but not too many. During September 2012 Spyder Automobiles moved to a larger location which has been a worthwhile transition. Since that time Spyder Automobiles has been caring for not only Porsches, but also European and mostly German produced cars! We can now service the needs of the European car owner here in West Gippsland, in a friendly, professional and convenient manner! Added to this we also care for a number of Classic and competition cars from the 1960's to 1980's.